This is a fabulous, flavorsome recipe that can be cooked within 25minutes. This recipe is a hearty winter meal. Best of all this dish is super versatile, it can be cooked on the BBQ or stove top. 1/2 teaspoon of fine cracked black pepper. Place olive oil in a frypan, place onto a medium heat, when oil is hot add the garlic and stir for a couple of minutes until the garlic is golden. Add the peeled tomatoes and stir until it comes to the boil. Into the pizzaiola sauce add the beans and let simmer for 5 minutes, until the sauce thickens. Heat a BBQ grill plate to high (you could also dry fry, steam, or grill the sausages for about 10 minutes (or until cooked this will depend on the thickness of the sausage). 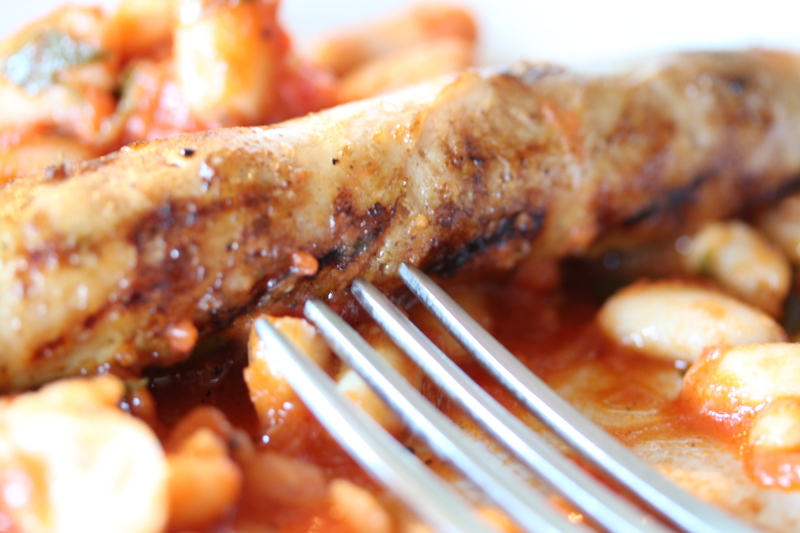 If grilling or dry frying make sure than you turn the sausages after a couple of minutes for even colouring. 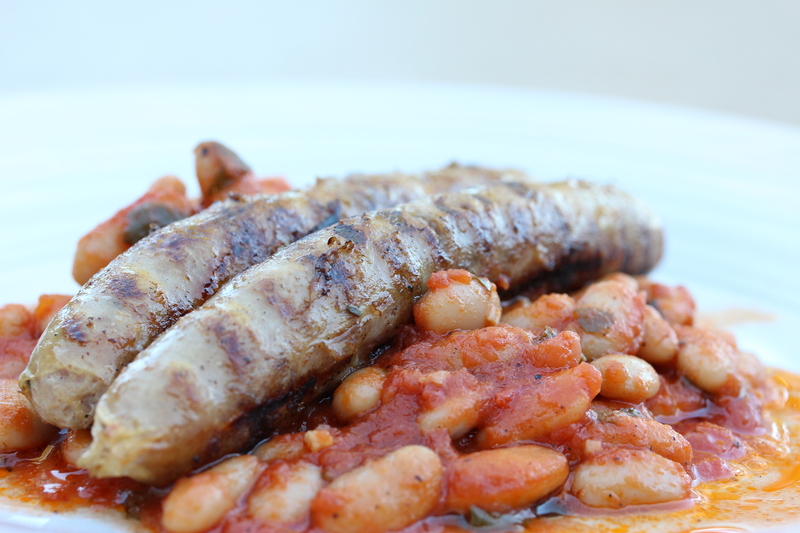 Serve a couple of sausages on a bed of beans.